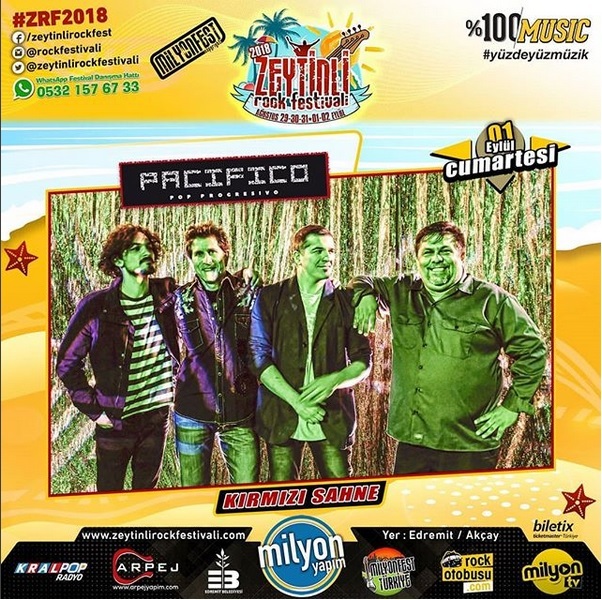 Pacifico will be performing at Zeytinly Rock Festival in Istambul, Turkey. We will be sharing this experience with 90 other amazing bands. So if you're near Turkey by Sept. 1st be sure to go and check us out! As a part of Pacifico's Euro Tour, their first gig will be at Prague's famous Hells Bells. Date coming soon! Following the release of their latest EP, Pacifico was invited to different venues at three countries in Europe. So Europe tour here we go, for more news about this and other stuff go to our social media accounts!